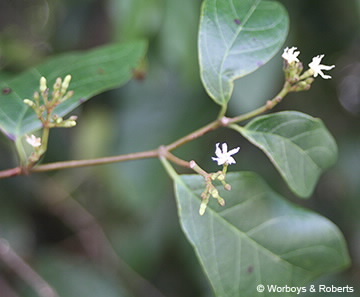 Vine with simple, opposite leaves, pubescent on lower surface to 10 x 6.5 cm, exudate white. Flowers with corolla tube constricted, cream to white, lobes 5. Fruit a follicle, brown to 14.5 cm long; seeds numerous plumed.